My Great Ghost sounds like they would be a deliciously haunting pop duo, crafting bare bones electronic beats and drum machines with mixed down vocals. And you would be right. 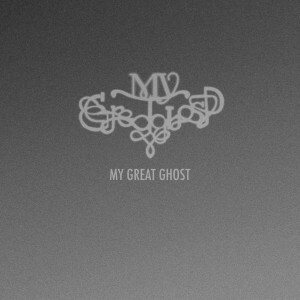 The self-titled EP by My Great Ghost comes out July 10th and they are who you think they are, at least musically. While the duo is judicious with how many layers they add to their electronic sound, their music permeates the air around you like their ethereal name. When I put on “Plain Sight,” I picture playing the track in a centuries old palatial estate and knowing the spirits would be dancing along as Drew Smith’s echoed tenor drifts through each room. Each song is constructed with a simple beat and built around keyboard tones and video game pops and beats, save for the final track, “Shade Above” which shows they want to rock as well. The core of their tones may be exiguous, but works well as a pop sorbet; the 5 song, 17 minute EP cleanses your palate and refreshes your brain for whatever the next album is that you want to dive into. Pick up their album on July 10th, enjoy their zephyr-like songs, but most of all be prepared for my questions when I come up to you on the street. This entry was posted in Reviews and tagged Drew Smith, Music Reviews, My Great Ghost, nanobot rock, Plain Sight, soundcloud by Clay. Bookmark the permalink.